Beginning research is a lot like beginning to cook. You have this vague idea of what you’d like to eat, but little knowledge of how to get there. You look to the experts for guidance, and hope to live up to the great expectations set before you. 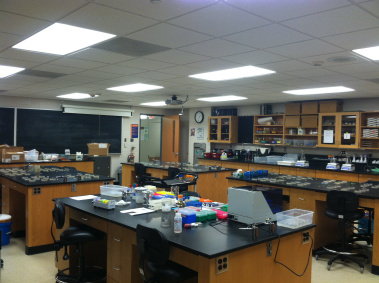 To say I was excited for my summer of research here at Gettysburg College would be an understatement. Amidst the excitement and anticipation, there was little time to account for the logistics of college living, things like grocery shopping or cooking. Until this summer, I failed to appreciate both the convenience of servo and my mother’s meals. Being from an Italian family of eight, preparing a meal meant being given some small task that your Mom didn’t want to do, like peeling the bag of potatoes, making a salad, or cutting up some carrots. You were never given something particularly hard to do. There wasn’t really anything to mess up, and if you did, you had your mother there to clean up after you. You never actually understand the entire process, it’s just something that happens everyday. That is until you’re on your own cooking, without Mom there, that you realize you weren’t ever really cooking. But once you learn to cook, truly learn to cook, you might just find yourself falling in love with it. At first you’re hesitant to substitute a ripe banana for an egg, but you eventually feel confident enough in your own abilities to try it out. It tastes a little different, but it cooks just fine. In time, you learn how to baste, blanch, and broil. You migrate from pasta and jarred sauce to making it from scratch, like Mom always did. You learn that sauteing and searing are not the same thing. You may even learn the hard way that searing a piece of meat with butter doesn’t work as well as oil. And as time unfolds you begin to remember the recipes, understand the lingo, and make better meals. With practice and patience, many failed recipes and flavorless meals, you eventually get better. Don’t get me wrong, you still may make the perfect casserole, but forget to preheat the oven. Or leave the sugar cookies in the oven until they look more like ginger snaps and taste more like dog treats. Even the best chefs are familiar with failure, but that’s just in the nature of cooking. We eat everyday, but rarely realize the work behind the food placed in front of us. Everyone cares about what they eat because it’s a necessity in life, but not everyone cares about how their food got to their plate. At least I know that I didn’t. The same holds true for research. We all care when a young boy falls sick in a hospital from exposure to antibiotic resistant bacteria in his catheter, but seldom are we concerned with the research that leads scientists and doctors to this conclusion. It’s why people scratch their head when I tell them I work with naturally occurring biofilms and bacteria (and enjoy it). They say “so what,” but, as a scientist, I know that there’s no “so what” about it. If you have no application for your project, you’ve lost sight of its purpose, but, on the other hand, if you disregard all the intricate steps taken to get there, I’d argue the purpose is lost as well. While I once only appreciated the final result of a well-made meal, this summer I’ve developed a love and appreciation for the process and art of cooking, and the process and art of science. The transition from cooking at home to cooking on my own is a lot like the transition from weekly lab classes to actual research. I work with naturally occurring biofilms in built environments, and there is a certain novelty to working with unidentified samples. However, with that novelty comes a certain frustration similar to making a meal without a recipe. I have a few vague recipes that work with slightly different ingredients, with temperatures that may or may not be optimized for what I am working on. Sometimes I’ll make adjustments to these and cross my fingers that they work, but there’s not exactly a picture on Pinterest for comparison. In the end, all of the small pieces of the meal may or may not even mix well together. Again, I have this vague idea of the meal I’d like to make, but know relatively little about how exactly to get there. This summer, I’ve found that research is about getting into the nitty-gritty details, while always keeping the final dish in mind. If only we all liked to cook as much as we like to eat.